Montana Silversmiths has been designing and selling hand-crafted silver buckles and jewelry in the US since 1973. The company is the official silversmith of the Professional Bull Riders, American Quarter Horse Association, National Reining Horse Association, and several other storied Western and Rodeo organizations. We were entrusted with the creation and management of their Google Adwords account, and since then, we helped them grow their digital business year-over-year every year since the start of our working relationship in 2011. We expanded from managing a single, branded Adwords campaign to managing many successful campaigns across digital and social media, including Google AdWords, Bing Ads, Facebook Ads, and Instagram. Not only were we able to produce short-term results and favorable ROAS (Return on Ad Spend) every year, but we helped build a loyal customer base that kept getting bigger and coming back every year, in large part due to our long partnership with Montana Silversmiths. Montana Silversmiths is a western buckle and jewelry retailer with a niche audience and a wide variety of product categories. We struck a balance between reaching their target audience and expanding their brand presence outside their typical customer group. Google Adwords and Bing Ads offered the perfect solution to the first problem – reaching the target audience, while advertising on Facebook and Instagram provided us with the opportunity to reach fans of Western culture and style in a non-intrusive way that increased Montana Silversmiths’ social presence and drove sales among customer groups that had not previously engaged with the brand. Over time, we shifted our focus toward maximizing revenue per dollar spent by refining our targeting. We made it our primary goal to increase the number of conversions without growing our advertising spend. We used keyword research and traffic forecasts to set revenue targets for Montana Silversmiths, helped them achieve those targets with carefully thought-out media calendars and targeted ad placement, and set up goals in Google Analytics that allowed us to track the revenue generated from each channel. We also worked closely with Melissa and the Montana Silversmiths marketing team, scheduling weekly phone calls and reports and ensuring we were responsive to their needs, which resulted in across-the-board improvements in traffic quality, cost per click, and transactions completed. Set up eCommerce revenue tracking and goals to better understand acquisition sources. Researched keyword volumes, competition levels, and bids to determine which keywords would provide the best return on investment. Set up and optimized Shopping Campaigns in Adwords and Bing Ads. We worked with Montana Silversmiths to properly import their product feed and ensured we were advertising product categories that would provide us with the best ROAS (Return on Advertising Spend). Provided weekly maintenance services, including bi-weekly account check-ups, bid management, negative keyword adjustments, keyword additions, and ad schedule adjustments. Provided weekly reports, action plans, and phone support to ensure our efforts were synchronized with company goals. Developed a Q4 Holiday ad strategy that allowed us to capitalize on the seasonal traffic of Black Friday, Cyber Monday, and Christmas shoppers every year. Decreased cost per conversion through careful adjustment of keyword match types, demographic targeting, and regular monitoring of keyword and ad performance. Capitalized on remarketing to entice potential customers who visited key areas of the website and encourage customers to return to the website and make a purchase after abandoning their shopping cart. 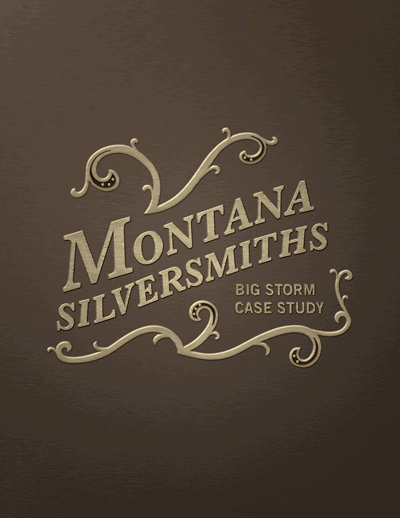 Explore our process in this PPC Case Study featuring Montana Silversmiths.